Neiman Marcus Northpark was swarming with stylistas today, October 8, to meet Tory Burch on her trip to Dallas. This lady needs no introduction. Her personal appearance event has been on every fashion fanatics' agenda for weeks. Here in Dallas, the Tory trend started with the famous Reva flats and has since become an empire of "double-T" logo fashions. In fact, my favorite pair of heels are Tory's. Tory was just as lovely as her iconic shoes, purses, and clothes. She even signed personalized autographs and got pictures with fans. Burch appears petite and teeny in photos, and even more so in person. The latest Tory Burch collection at Neiman Marcus has lots of fall must-haves. 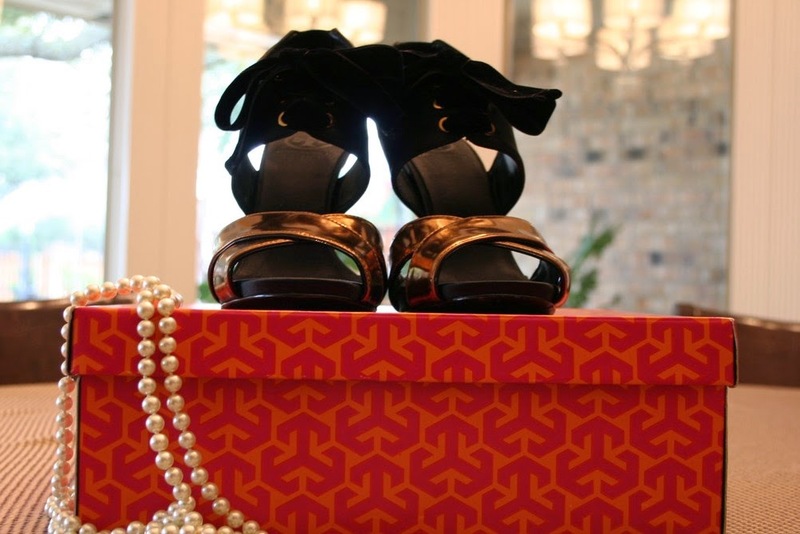 Shop some of my favorite Tory Burch picks at the end of this post. Thank you to Neiman Marcus and Fashion Group International of Dallas for hosting Tory Burch. And a special thank you to Chuck Steelman and Rosanne Hart for making the experience so wonderful. She was totally adorable and her talk at the Dallas Women's Foundation Luncheon was amazing.. Beauty, brains , style and a keen sense of ways to help women succeed.. cannot beat that. Enjoyed sharing the Tory experience with you! Great post!